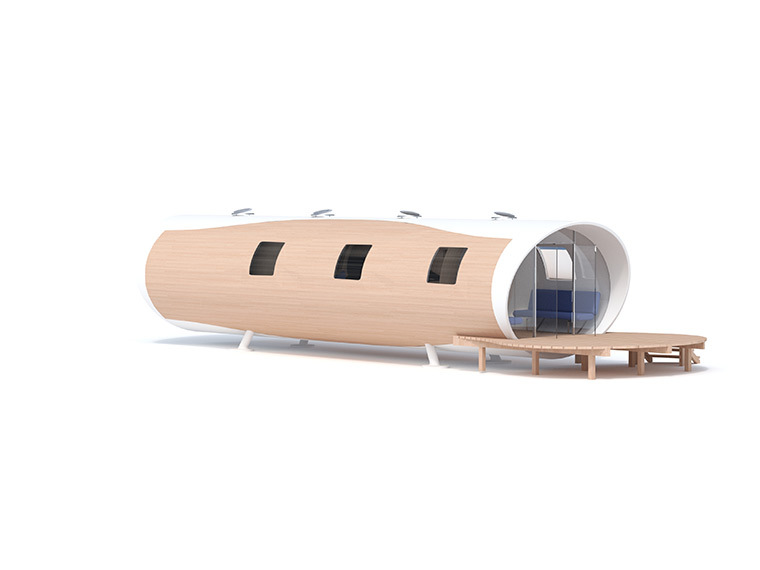 This modern interpretation of the static caravan can be located in places where a building would not be permitted, let alone one of a contemporary design. At 12m long and 3.75m wide, it can be delivered as one self-supporting piece on a flat-bed lorry. The elliptical shell section is constructed from two skins of glass-reinforced polyester with a foam core. Internal plywood bulkheads and floors are glassed into the inner skin, further stiffening the structure and forming walls, floors and furniture. This technique is directly transferred from yacht design, where the need for lightweight, strong structures is paramount. Construction cost – £31k for the prototype.